Brent Carney advises and represents public-sector clients in the areas of redevelopment, resiliency, municipal, and construction law. He represents various municipalities in the negotiation of redevelopment agreements, and defends challenges to redevelopment plans, redevelopment area designations, and the acquisition of industrial and commercial properties necessary for mixed-use redevelopment projects. He also represents a variety of clients in connection with Green Acres diversion matters. He is an experienced litigator, representing clients in federal and state courts and before administrative agencies. Mr. Carney is admitted to practice in New Jersey and before the United States District Court for the District of New Jersey. 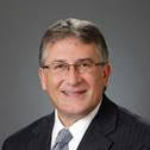 He is a member of the New Jersey State Bar Association’s Environmental Law and Construction Law sections.